For many years, it has been considered a luxury to install solid wood in an office, high-end residence or any commercial space, however, nothing quite compares to the look and feel of solid wood floors within a building. The popularity of wood can largely be attributed to its timeless elegance that isn’t dictated by fading fashion trends. Not only does a quality solid wooden floor stand the test of time, its sophistication and elegance make it a classic look that will always be considered modern and on-trend. Oak is one of the most popular species for hardwood flooring and many designers consider it a traditional choice. Solid oak is a very hard, heavy, open-grained wood that grows from deciduous and evergreen trees in Europe. This type of wood has prominent rings and large pores that allow it to stain well in any colour. FinOak is the range of engineered hardwood flooring from FinFloor that is available in a variety of sizes, thicknesses and surface finishes and comes with a 25 year manufacturer’s warranty. It is finished in smooth or wire brushed which gives floors the aged, distressed look that many designers wish to replicate for their clients. These surface finishes not only give the wood a unique style but also hide new scratches, dirt and dust, making them a popular choice for clients who have busy, active lifestyles. Each tree is unique and different parts of the same tree produce different surface textures and appearances. 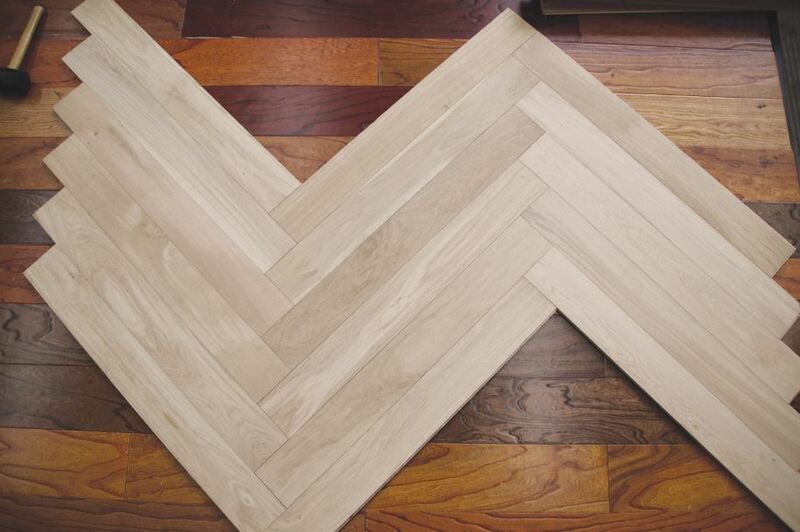 It is for this reason that the company imports various grades of oak timber for their engineered oak wood flooring product, namely Clear and Rustic (A, B, C and D grade). The Clear grade is selected from the fine grain wood found around the centre core of the log where there are no knots. Each tree produces fewer clear grade planks and these are therefore more expensive. The Rustic grade is manufactured from the outer parts of the core where branches attach to the tree, making it visibly more knotty and full of character. Smooth planks are finished with a fine sand paper that closes the pores and grain. Smooth finishes are inclined to show dents and scratches, making them best suited for areas that receive low foot traffic. Brushed planks are rough wire brushed with long strokes to accentuate the grain of the wood and leave the planks open to absorb the surface treatment and stain. The flooring range is available in 60 colours and the system uses the globally recognised 5G Valinge drop lock system, making installation easier than ever before. The company also chooses to support suppliers that respect the environment, which is why it insists on FSC certified products.